We review certain emergent notions on the nature of space-time from noncommutative geometry and their radical implications. These ideas of space-time are suggested from developments in fuzzy physics, string theory, and deformation quantization. 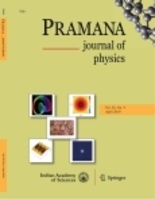 The review focuses on the ideas coming from fuzzy physics. We find models of quantum space-time like fuzzy S4 on which states cannot be localized, but which fluctuate into other manifolds like CP3. New uncertainty principles concerning such lack of localizability on quantum space-times are formulated. Such investigations show the possibility of formulating and answering questions like the probability of finding a point of a quantum manifold in a state localized on another one. Additional striking possibilities indicated by these developments is the (generic) failure of CPT theorem and the conventional spin-statistics connection. They even suggest that Planck’s ‘constant’ may not be a constant, but an operator which does not commute with all observables. All these novel possibilities arise within the rules of conventional quantum physics, and with no serious input from gravity physics.